BUTYL ACETATE, ETHYL ACETATE, NITROCELLULOSE, ACETYL TRIBUTYL CITRATE, PHTHALIC ANHYDRIDE/TRIMELLITIC ANHYDRIDE/GLYCOLS COPOLYMER, ISOPROPYL ALCOHOL, STEARALKONIUM HECTORITE, ADIPIC ACID/FUMARIC ACID/PHTHALIC ACID/TRICYCLODECANE DIMETHANOL COPOLYMER, CITRIC ACID, [+/-(MAY CONTAIN): ACRYLATES COPOLYMER, BORON NITRIDE, CALCIUM ALUMINUM BOROSILICATE, ETHYLCELLULOSE, MICA, SILICA, TALC, TIN OXIDE, RED 36 (CI 12085), RED 6 LAKE (CI 15850), RED 7 LAKE (CI 15850), RED 34 LAKE (CI 15880), YELLOW 5 LAKE (CI 19140), BLUE 1 LAKE (CI 42090), YELLOW 10 LAKE (CI 47005), RED 30 LAKE (CI 73360), ALUMINUM POWDER (CI 77000), BISMUTH OXYCHLORIDE (CI 77163),BLACK 2 (CI 77266), IRON OXIDES (CI 77491, CI 77499), FERRIC AMMONIUM FERROCYANIDE (CI 77510), FERRIC FERROCYANIDE (CI 77510), MANGANESE VIOLET (CI 77742), TITANIUM DIOXIDE (CI 77891)]. 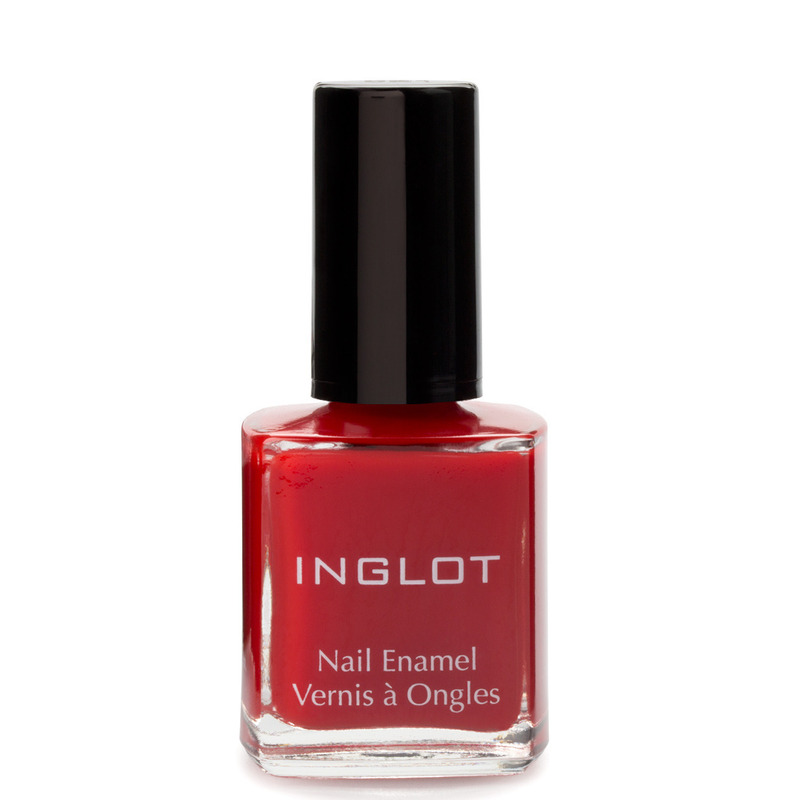 The perfect nail enamel provides durability, high gloss and a short to medium drying time. Does NOT contain toluene, formaldehyde, dibutyl phthalate (DBP) or camphor. One of the best polishes I've ever used. Beautiful colours, easy and smooth application and the bottles are very big. Loads of product for that price. Love them so much. It dries pretty quick and doesn't chip easily, especially with a top coat. I'm definitely going to expand my inglot collection soon. really nice warm pinky peachy color with a fine golden sheen. has a slightly translucent quality. a good, neutral, worksafe-y color--kind of boring, but sometimes you need boring, and pink is always pretty. best part, dries REALLY fast, which makes me love it. I love the color selection that Inglot has in the nail department. I bought a few shades at imats for $5.00 . My nail polish chipped on the third day. Bummer. a beautiful, neutral metallic color! goes on pretty opaque in one coat, but I prefer two. the main reason I like it so much is that it dries super fast. less than a minute I would say, no more than two minutes max, and you're safe to go about normally without worrying about the polish. love it. It went on beautifully,it has just the right hint of white glittery shimmer.I would totally repurchase and different shades as well! !